Carl Percival was born in Cincinnati, Ohio in 1950. He received Bachelor’s degrees in chemistry and zoology from Ohio University in 1974. He went on to get his MD from the University of Cincinnati in 1978. 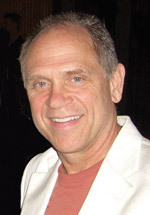 He completed his residency in Anesthesiology at UCLA in 1982. He is currently a board certified anesthesiologist working in Santa Cruz, CA where he has been since 1992. In addition to his practice of anesthesia, Carl serves as Medical Director and CEO of Santa Cruz Surgery Center, an ambulatory surgery center. He has been giving talks on science, evolution and philosophy as they relate to Christianity since 2003.